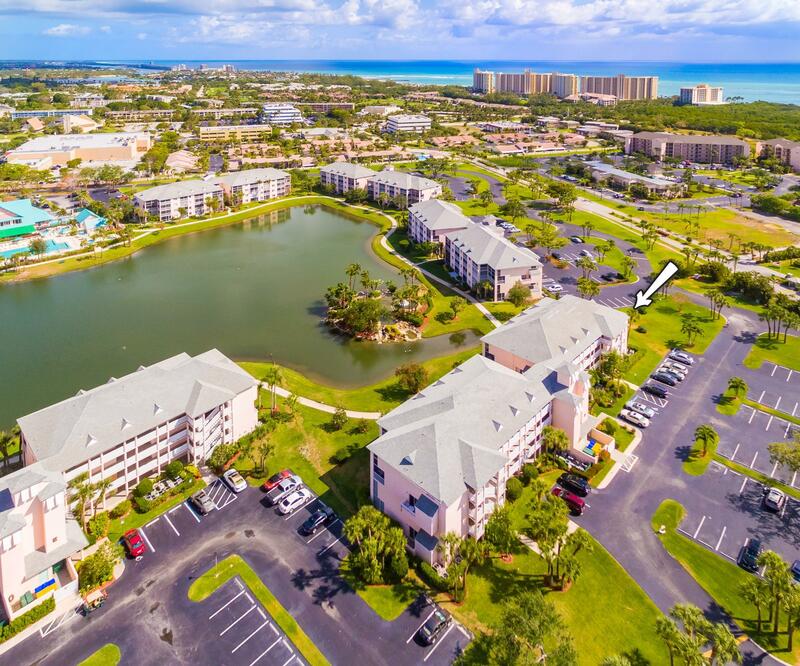 Live in paradise just steps from the ocean & Intracoastal in this lakefront, updated, bright & spacious, 2BR/2BA, income-producing condo that can be rented right away, located in the highly desirable, pet-friendly community of Jupiter Bay! This beautiful open-plan condo has many desirable features such as tiled flooring laid on the diagonal throughout, ceiling-high wall-to-wall sliding glass doors, an updated kitchen with 42 cabinets, and a large master suite with access to the expansive screened-in balcony overlooking the lake, pool, and waterfall. The guest bedroom suite has its own separate entrance from the outside. Walking distance to numerous shops, restaurants, and entertainment. Newer washer, dryer, and water heater. Balcony has accordion hurricane shutters.